The BBC’s recent Stargazing Live event has one again proven to be a successful event. For WAS it started with a trip to Portsmouth to help out with one of the main events. Although we were not on the main “street” through the docks, and the weather was not great, we still had a lot of interest from members of the public. 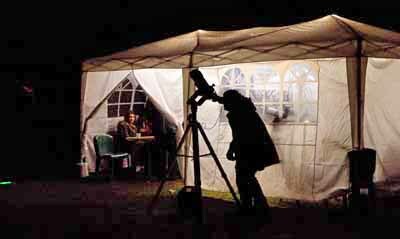 We then held our own Stargazing live event,on the 10th & 11th January, to coincide with the BBC’s, and this proved to be very successful. We estimated that we had around 160 visitors on the evening, with some coming as far as London. The weather was on our side for once. 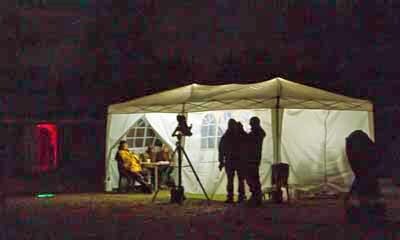 Several WAS members came with their telescopes to help with the event and they were kept occupied all evening with a constant stream of people at each scope. Jupiter, M42 and the Moon provided good viewing. Thanks must go to all who helped with the evening to ensure that it went smoothly and was the great success that it was.